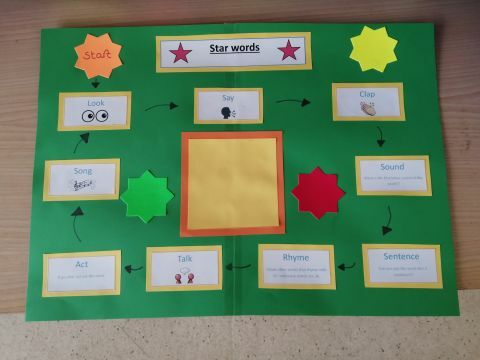 After our letters and sounds training and our language for learning training that Kyra and Miranda are completing we have decided to add a star word of the week. Each week we will change the word and post it on here for you to continue to support learning at home. Look at the word what does it say? 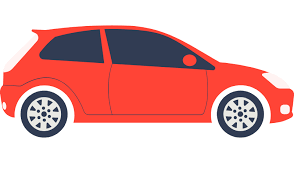 Put the word into a sentence "The CAR went very fast"
Talk about the word "so what is a car?" Act - Can you act the word out?? Can you put the word into a song or a silly rap ?? Completing these skills helps the children to really explore a word and what its meaning is. It is also supporting phase one of the letters and sounds module that we work on during your child's time at Pre -School at the top we will update the word weekly so you can practice at home to. Dont forget to let us know how you get on. If you would like some further support or advice around letters and sounds then please ask. Keep a look out for our new Letters and sounds Partnership working packs in September.